Copyright Mark Stavish 1996. All rights reserved. Dolores Aschroft-Nowicki has illumined tens of thousands of students in the methods of the Western Mystery Traditions in her various roles of teacher, lecturer, and author. In addition to writing ten books, she is the founder and Director of Studies of Servants of the Light (SOL), one of the world’s leading esoteric schools. Co-founded by W.E. Butler, a student of the late Dion Fortune, SOL teaches practical methods of magic, kabbalah, and occultism, through a course of personal study lasting four years. A.N. : Magic is a combination of art and science. It’s an art because of the traditional parts of things, the graceful gestures, the sonorous invocations, the use of colour, sight, sound, all of these things make it very much an art form. Yet it is also a science as well because we expect something to come of what we do. Using and creating these almost dreamlike inner landscapes in which we can live, move, and have our being. Stavish: How then, does magic differ from the psycho-therapeutic techniques of creative imagination or visualization? A.N. : You know there’s not a lot of difference. I continue to say that I wish we had another word other than magic. It no longer means what we are doing or we are attempting to do. We have to find another terminology. Magic is first and foremost a way of belief. In magic, I say, I believe I can control certain elements of my environment, I believe I can control certain aspects of my endocrine system, through imagination, visualization, breathing techniques, which in a sense come into the scientific aspects. So magic is a combination, its a soup, a delightful combination of art, imagination, visualization, fantasy, with a healthy dose of solid basis, because it is a science. The thing is we’ve lost the keys. Stavish: What are the keys? A.N. : The keys are, or were, the training methods used by the ancient mystery schools. We’ve got hints and tips, we’ve got little bits on the papyri, but we don’t have, in our hands, a complete curriculum of the ways in which they induced altered states of consciousness and the projection of the mind. Stavish: You’ve said that the Western Traditions were in danger. Are they also their own worst enemy? Stavish: What are they in danger of or from? Stavish: That is related to what I am so often reminded of, that we have no Masters in the Western traditions, as opposed to the Eastern Traditions, or at least purported to be, and many have commented to me, that their is no discipline in the Western Traditions, compared to the Eastern traditions. How do we bring discipline to the Western Mystery Traditions? And, where are its Masters? A.N. : Discipline. You see, I was trained in the Society of the Inner Light. Now that requires that you spend a certain amount of time in meditation, it also requires that you spend this time in early morning, because they say you’re closer to the sleep state at that point. You’re required to write this down within ten lines. Also, they like you to be able to condense what you’ve realized into something short, sharp, and explanatory. They expect you to have at your fingertips, a comprehensive knowledge of two traditions or pantheons. You’re expected to study , to read, and they give you a book list. Now we follow something similar to this in the SOL. We are a little bit more forgiving, we allow you fourteen lines, instead of ten. And I say to people, more than fourteen lines and its going to get crossed through. So if your best realization part is there, it’s not going to be read. I don’t believe in hours and hours of meditation. The mind gets tired and starts to fold in on itself. We do have a reading list, it is fairly comprehensive, it includes fictional works as well on non-fictional. There is maybe twenty-three ‘-ologies’, that you can use, because magic so comprehensive a subject. Stavish: You have to be a Renaissance person. A.N. : Yes, exactly. And using that term, one of the things I have been trying to get into my students heads, is that we have to begin to think in a new way. The old way of thinking is straight ahead. We must learn to do what the Greeks did in Thaleus, when Myles, started to think around corners, and we are at another kind of Renaissance now. With the magician, its not just the idea of thinking around a corner, not just a question of coming up to this idea and going on, going at right angles. It’s a question sort of like a star burst, it goes in every direction. Stavish: Where do you see this new direction in magic and thinking going, and why do we need it now? A.N. : Science, pure science, is leading us in a sense astray. With the development of certain types of uses for nuclear devices. Leading us astray with the idea that everybody has got to have everything that they want even if it means polluting the entire environment. It is a case of lets just keep one or two canisters of the smallpox virus because we’ll never know when we might need it. Science is becoming very much a Dark Power, in many ways. Stavish: The New Age movement is fundamentally built on a vision of doom. It is contradictory, but on one hand you have the belief in “Think and Grow Rich” and on the other hand, the belief that that world will end in the year two-thousand. A.N. : I think that there is something in the human psyche, that when it approaches a big mark up point it tends to get doom laden. In the year one-thousand people were giving away everything they owned including large castles to beggars at the gate. I think that this is something that is deep in the human psyche, that come hell or high water you’re going to have this sort of doom and gloom aspect. I think that the Apocalypse is going to be in this new way of thinking. Somewhere between now and 2020, there has got to be a break though. Not just in science, we’ve done that, but a breakthrough in the human mind. We are going to be able to grasp a concept, a way of thinking. We are going to be able to make a realization, that encompasses our species. The feelings of doom, of hopelessness comes from that part of the combined human group mind that says ‘ I’m not going to make it. I won’t be able to change’, and if you don’t change, you’re going to go under. Stavish: Will this translate into a change in physical reality we know? A.N. : I think , perhaps, there will be concern with the way we are able to use our brains. Let me put myself out on a limb here and say, something that I said yesterday, I think it won’t be long before we see the first of the mutants. And I’m not saying that in a sort of Hollywood occult movie sense, but mutants in the way, people who already boarder on P.K., empathy, telepathy, there is great emphasis on empathy coming into the people, even at my age. Stavish: You spoke earlier about magic having the basis of its belief , the idea that we can in some way become masters of our lives, our destinies. Yet, so often, people who study magic are materially worse off than their neighbors, and their esoteric studies are criticized as having a negative impact on their standard of living, and quality of life. A.N. : Ernest Butler was a priest and felt that poverty and spirituality went hand-in-hand. Israel Francis Regardie, dear Francis, read me the riot act and said, what the bloody hell is this guy teaching you if you’ve got to worry about the electricity bill you can’t be spiritual. Go out and earn yourself some money girl! So I kind of fell between two stools. So I spend my time working very hard. I spend my days, doing sixteen, seventeen hour days most days. It is quite a holiday to come over here really. Stavish: Let’s talk about angels. A.N. : We really get most of our ideas about angels from people like Michael Angelo, and Raphael, and of course, the Victorians. But, they’re aliens. Lumps of energy floating around that have been ensouled for one particular thing. You don’t get an angel, apart from the archangels, that seem to think and correlate thoughts, and feel in the same way, or near enough to the same way that human beings do. Most of them, are sort of small bundles of energy, they pop-up and then disappear again. I was taught to perceive them, and to use them symbolically, as geometric shapes, because, those are basic forms. A.N. : I think all the way along, these saviors seem to have come from special blood lines. I know there’s a lot of people screaming about genetic engineering and that, but, if you like the bodies are genetically engineered, so that they produce, from what I understand, is a very loose etheric body that can be shoved over to one side. This allows something else takes its place, which acts and reacts with its surroundings, and chooses a group around it that it can teach, and therefore, provide a nucleus to go on and out. It is like a miniature explosion. You sort of get an atom, that atom then becomes a sense a double, because it has got an Indweller, or Overshadowing, and then the explosion moves out effecting all the other particles who then become little nuclei themselves. Stavish: We were talking about angles, I was wondering if we could go back to that for a little bit. Are Guardian Angles just our Higher Selves, or is it a distant relative watching over me as some have claimed? A.N. : I think occasionally, a relative that’s gone over may hang around for awhile to see a much loved grandchild or child, through a difficult period. I don’t regard that as a Guardian Angle. I really do think, in a sense, that we are our own Guardian Angles. But we don’t listen to ourselves. What we don’t listen to, is what I am continually telling people in which nobody really, to get down to the nitty gritty believes, is that there is a piece of Divinity in us. Stavish: Isn’t that why we invoke the gods? A.N. : Yes, because we can’t believe. It’s got to be out there. If its not out there, then it isn’t real. Yet, this, I really cannot go along with. This is where it is (pointing to chest). In a sense we are our own Savior, our own Guardian Angel. Stavish: One of the things I remembered most about angelic forces, When you call on an archangels, some people think that they are calling on some guy named Michael, instead of looking at what that means in Hebrew, “Who is like God”. So when we call on Archangels, we are really calling on these qualities, or ideals, not individuals. A.N. : When you call them, you are invoking them from within yourself. I mean you can do this another way. You can take the spelling of the name in Hebrew. Here is Mem, here is Heh, here is Lamed, and you can say to yourself, these are symbols, and get a power out of these as well. Stavish: This reminds me of some of the medieval schools of cabbalah, in which only the Hebrew letters, and Divine Names, or mantras are used for meditation. The letters are then seen as energetic patters, and if linked together, to form a Name, they would then be imaged like a sine wave on an syliscope or similar energy reading devise. Stavish: It is suggested that when we drawn the sigilium, or those funny little lines, of the various names over magical squares or talismans, we are really drawing the literal energetic pattern of the forces invoked. A.N. : This comes back to what I was saying, that, these particles of which we are made, of which anything is made, including those energy patterns we would call angels, are vortexes. If you take a particle down, past neutrinos, you get vortexes, little whirlpools of energy. This is amazing, because what it really means, is everything is the same. Everything is one of those, in various combinations. Stavish: Do you then believe that physical time travel is possible? I noticed that it is the topic of your upcoming London workshop with J.H. Brennan. A.N. : Yes. We have a exercise, called points of focus. A point of focus, is a point in time, in which you want to be, or want to zero in on. We use it mostly, in a watching aspect. But I teach them to be very specific. I want a date, and I want a time line. That then limits you, because you can’t know what you are going to see or where your going to be at that moment. I’ve had people get a little wary of this, because they tend to, have their mind materialize half in and half out of something, and then they have to comeback and readjust and go on. I think that it is possible, that things that, for lack of a better example. Let’s take old Ezekiel and his vision. It occurred to me more than once, one of our lot landing, or possibly someone from further ahead than us, sitting down and scaring the life out of this little guy. Who probably left a vast wet trail behind him. You know, then we’ve got Elijah, who actually left, he lifted off! Stavish: I noticed that there is no mention of Enochian magic in the material you have on your website. Why all the warnings about Enochian, and its purported dangers? A.N. : Enochian is very tonal. One of our supervisors, left many years ago, in order to take up Enochian. He’s a very, very competent occultist, a very good ritualist. Quite a down to earth person. And two years later, he was a nervous wreck. He’d set aside one room in his house as a temple, furnished it, and for two years, almost every day had spent some time in there. Either practicing a call, or doing a longer Enochian rituals, or that, It started with him going in one day, and finding all of the furniture pilled in one end of the room. He put it back again, and said to himself, this did not happen. It happened again, and again, and finally one day he found his alter upside down. He de-consecrated the entire place and shut it out. And said, I can’t do this anymore. Whatever it was thought well maybe he doesn’t want to do it anymore, but it did. He began to find things around the house, all bundled in a corner, standing on top of one another. Came in one day, and found two of his books, one flat, one on edge, and a glass of water standing on top. He tried everything, he blessed the house, cleansed the house, and called in a priest and had it exorcised. One of the things people don’t know about exorcism, is that you can’t really use exorcism on things that are older than Christianity. In the end he gave up all forms of the occult, sold all of his books, but not before he damn hear came to the edge of a nervous breakdown. Stavish: Why is Enochian so hard hitting? A.N. : It’s sonics. Sound is the basis vibration of the universe All those little vortices may get sent going the other way. Sound is really very powerful. We haven’t gotten quite to grips with that now. I know for fact that there are defense systems based on sonics. I say I don’t do any (Enochian), but I was persuaded by Herbie Brennan, a couple of years ago, at a Masters Class, to join in an Enochian ceremony, which was for invisibility. This was a Saturday night, my daughter was driving up from Yorkshire, the following morning. Now where we held this is in a place called Wellington Park, and it is up on a hill. From the top of the hill you can see six counties. Tammy was driving up. We were saying isn’t this a beautiful day, you can see Worchester, and Silvershire, and Linconshire, and Tammy was going round and round, because she couldn’t find the place. When she finally got there, two and a half hours late. She said , the fog was incredible. We said what fog, She said, what have you two been doing, making yourselves invisible? She didn’t even know we were doing this particular ritual. 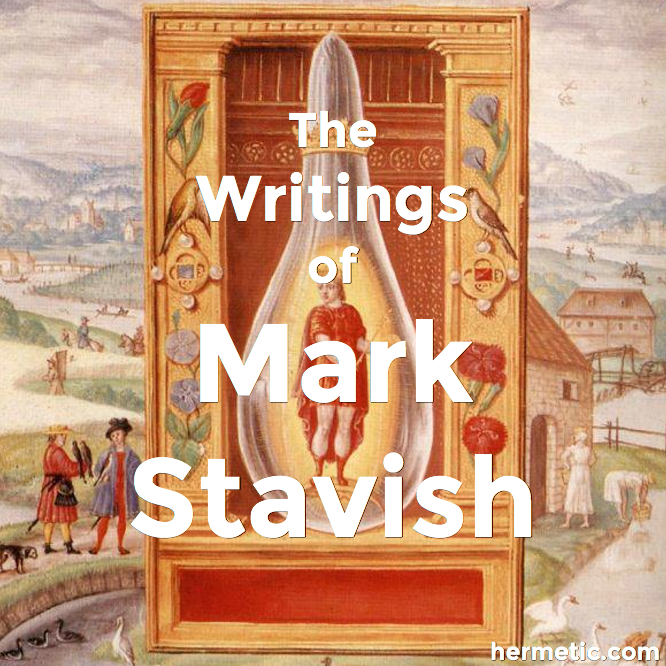 Stavish: What advise can you give to aspiring esotericists? A.N. : Record everything, no matter how small, because your going to be able to refer back to it. If you record things, you’re going to find, patterns of things, and patterns are important, because you can then see the patterns form before it happens. You can prepare for them, and go into the experience. For some reason, we don’t want to make things permanent, to put things down. We are afraid that when we go to read it , it is going to sound to daft. To make a record, means that we can leave something behind. It is a map into a country that we are exploring.